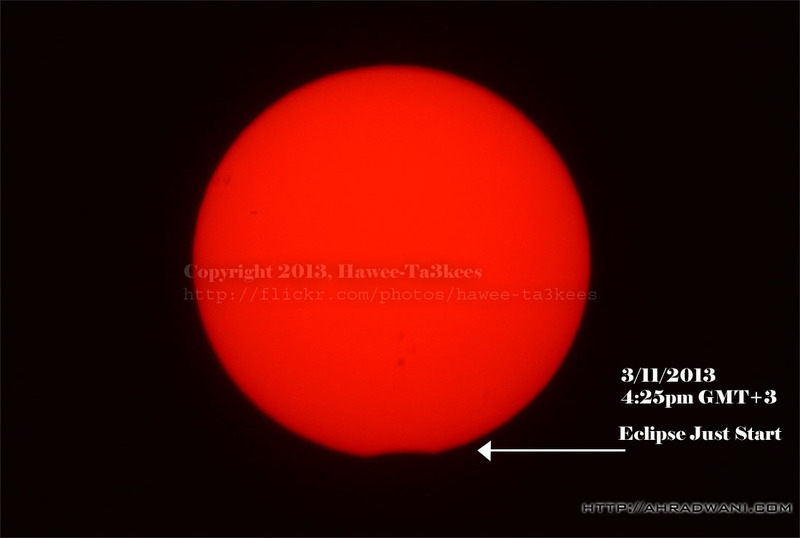 Solar Eclipse on 3/11/2013 start on 4:22pm GMT+3 and continued till the sunset, in my location the sun hides behind some buildings before actual horizon so I did not get the very last moment of the phenomena. 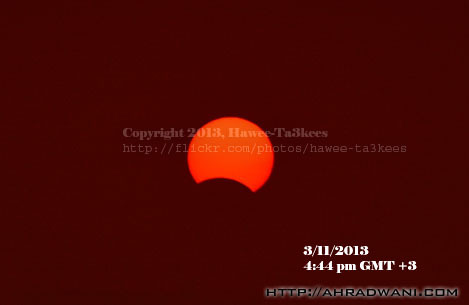 This is just after starts, you can see the moon down time was 4:25pm. 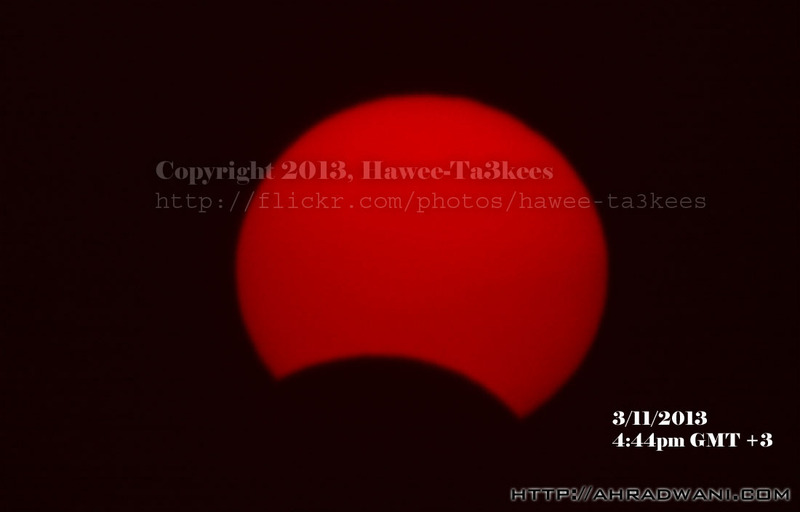 This is another shoot @ 4:34pm, the moon more visible now. 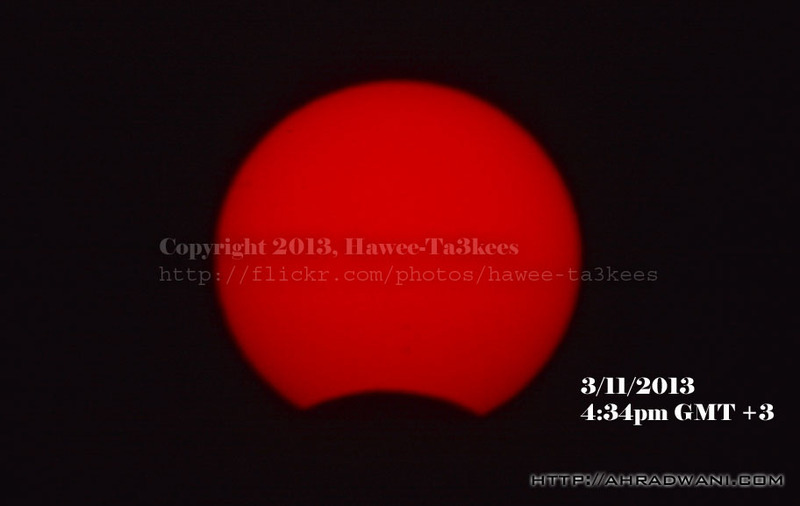 At the same time of the last photo, I take this @ 1000mm, and the sun start to sink behind the building, time was 4:44pm GMT+3.